If you’re the kind of person that can’t stick to a budget, you’re certainly not alone. While there might be a psychological cause holding us back from actually putting aside those spare pennies, not least including a lack of motivation, around two-thirds of us still won’t take the time to actually make a budget in the first place. However, there are times where stretching our budget is a must. 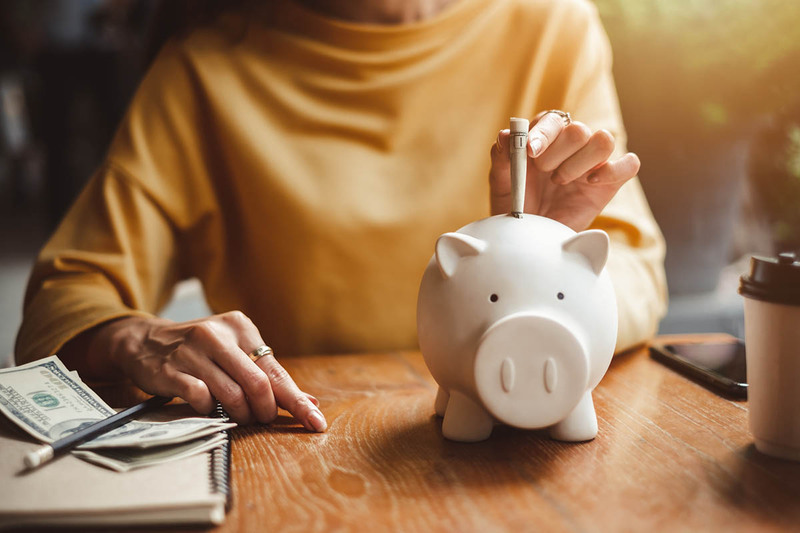 Whether you’re due to make a payment on emergency payday loans or you’re saving up for much-needed home improvement, sometimes we have to be a little more creative with our money-saving strategies. It’s a widely-researched scientific fact that being tired, sleep deprived or simply not at our optimum level of energy can lead to risky and poorer decision making. When it comes to our money, this often manifests itself in purchases that are likely to lead to buyers remorse. Whether that’s a sugar-filled coffee to wake you up in the morning, or an expensive meal when lunchtime rolls around, being sleep-deprived actually triggers increased brain activity in areas that assess any positive outcomes and less activity in those that assess negative ones. For this reason, we’re more likely to do something we know will make us feel good, without fully assessing the potential for a negative outcome. We’re all guilty of picking up things we don’t really need when we head out to the supermarket. Whether we’ve written a list and have tried to stick to it, or we’ve had a meal before we left the house to reduce hunger-fuelled cravings, sometimes it just isn’t enough. Instead, once you come to the end of your shop, whether it’s your weekly food shop or a trip to the high street, put something back before you pay. Look over your basket and put back at least one thing you know you won’t need or won’t miss if you don’t buy it. For those us with a sweet tooth, picking up cheap snacks is never an issue. You can easily pop into a discount store and buy a bag of popcorn or a large packet of crisps and have enough snacks to last you a few days, if not longer depending on your appetite. For those who are a little more picky with their snacking, buying in bulk when there’s a sale or deal on, or simply finding an outlet that sells certain products cheaper, can help you save money overall. It could involve a more substantial initial purchase, but it is likely to spread out over the month and ultimately work out more cost-effective. Fizzy drinks, juices, tea, and coffee – these all cost money. Therefore, if you really need to rake in pennies and save up, turning to water could be the solution. Tap water is free, and even if you purchase a water filter to ensure that it is clean and drinkable, it’ll work out to be a more cost-effective alternative than purchasing carton after carton of juice. By filling up your own bottle with tap water, you can not only save money but do your bit for the environment. Besides, water is better for our health, so it’s truly a win-win situation. Did you know that the way you drive can actually affect how much you’re spending on your car? Shop Around For Cheaper Insurance – most companies will offer cheaper rates for new customers. Use a price comparison site to find the right one for you and your car. Improve Your Fuel Economy – By driving more slowly, in the right gear, reducing the amount you’re revving the engine and even keeping your tires at the right pressure, you won’t eat through your petrol tank quite as quickly, meaning you won’t be filling it up nearly as often. Saving money isn’t always easy, but if you’re creative with your methods, you could enhance your overall motivation to reduce your spending. From making sure you get enough sleep, to buying snacks in bulk and drinking more water, changing a few of your daily habits could help you not only save but spend your money more wisely.